Marketing your products or services can be incredibly difficult when your target audience isn't already listening to what you have to say. 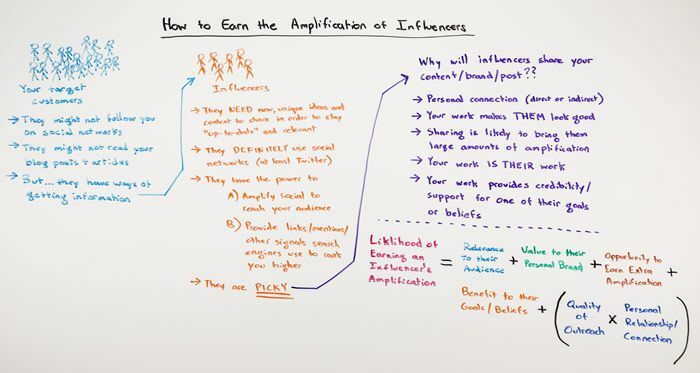 In those cases, influencers have an amazing ability to amplify your message and boost your brand. The only problem? They're (rightfully) quite picky about what they share. In today's Whiteboard Friday, Rand shares his tips for winning them over—an algorithm of sorts, to help you rank higher on the list of their priorities.